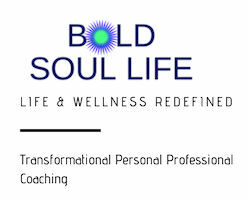 nina@boldsoul.life | 612-910-8030 | Contact me or schedule your free phone consultation. Trauma is not only an event but an experience held in the body. The body remembers neglect, abuse, and terror. Trauma keeps us trapped between regret of the past and fear of the future. There are levels and gradients of traumatic experiences, ranging from macro to micro trauma. Yoga, Reiki and Mindfulness practices are empowering with far-reaching benefits that carry over from the yoga mat and into everyday life. The yoga mat is a safe place where people can begin to reconnect with themselves, to practice making choices, express when something doesn’t feel right to them, and figure out what would work better. My studies in ayurveda, yoga therapy, and ancient yoga techniques are paired with modern neuroscience to assist people in trauma recovery. Studies by the NIH revealed that participation in trauma-informed gentle yoga leads to a significant reduction in symptoms of post-traumatic stress. Yoga’s ability to touch us on every level of our being—physical mental, emotional, and spiritual—makes it a powerful and effective modality for trauma victims. Most experts agree that trauma’s effects live in the body—and that’s why yoga works. Healing occurs through the body and mind. Yoga mitigates the fight-or-flight response through a combination of active asanas, pranayama, and deep relaxation. Combined with Reiki, the results may give you the greatest gift of getting your life back and releasing you from the grip of PTSD. I have taught and practiced yoga, mindfulness meditation and utilized Reiki since 2002. 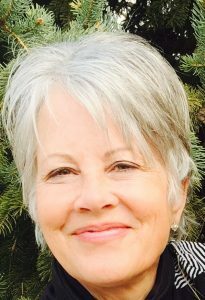 I have completed 200 hour, 500 hour and 300 hour advanced trainings in yoga, ayurveda, trauma informed yoga, yoga, meditation, hypnotherapy and neuro-linguistic programming (NLP), Reiki and Tai Chi for clinical applications and specific conditions related to anxiety,depression, stress and trauma, including PTSD. We each have a story, and I reverently respect the power of my clients' stories about their current reality and desires for their future and the life that they dream of. Our story is a compilation of our experiences, which contribute to who we become and propel us along in this earth school.